pumpkin patches Archives | What Should We Do Today? 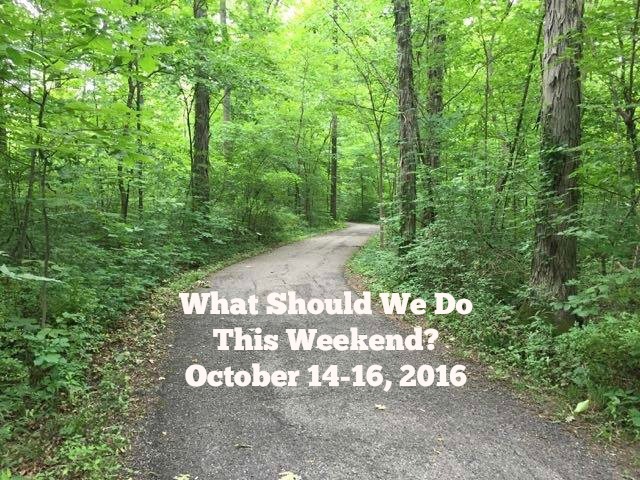 This is another busy fall weekend with a lot of fun options! Don’t forget to refer back to this post if you’re looking for a fall festival weekend at a local pumpkin patch! Most are still going on throughout the whole month of October! This festival includes food, give aways, live music and children’s activities like a hay bale maze, game tent, corn pile, horseback rides, wagon rides, a pedal tractor pull and more! Location: 8738 Marysville Rd., Ostrander, OH 43061. Leeds Farm and pumpkin patch is open one Friday only this season and this week is it! They’re also open one evening of the season, and that’s Saturday for the Harvest Moon Festival! This annual Halloween party is free and features carnival games, a trick or treat trail and live music! Some of the nation’s top bull riders will be competing in Columbus this weekend as part of the All American Quarter Horse Congress! Touch a truck at the library and enjoy a story time about vehicles! Bring a canned good to donate to Neighborhood Services and get a free pumpkin! This free festival will feature food, music, dancing and art as well as a focus on traditional breads! Kids ages 10 and under are invited to participate in a trick or treat trail including goodie bags and a costume contest! This community event includes hayrides, a costume contest, games, food and a “Trail of Terror”! Admission is one non-perishable food item per person. Tailgate before the OSU game with free hot dogs, apple cider, donut holes and marshmallows! The game will be shown on the Technicare Amphitheater Stage starting at 8 p.m.
On Sunday, get a free kid’s meal with an adult meal purchase of $7 or more! Mention that you’re there for “family time” to receive this offer! Join the Grove City library for the dedication and grand opening celebration of the new Grove City Library! The day includes a flag raising, ribbon cutting ceremony, dedication of the early literacy area, Harper’s Grove, instillation of a time capsule and more! Take a last look at the old library here! This fun day will include tram rides, roasting marshmallows, jumping in leaves and making crafts! Read about our day at Blendon Woods here! This festival will feature a hands-on area for kids, Lincoln Logs building, pioneer games, cider pressing, and more! This event is free for members.